Would you like to know how to reduce your back pain? Do you feel you are in a constant cycle of taking pain killers and relying on therapists to ‘fix’ you, only to return a short time later to be treat the same issue again? 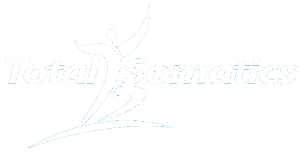 In today’s blog we are going to consider how Somatics can help with back pain and in particular scoliosis. Scoliosis is a side bending or lateral curvature of the spine. Scoliosis can present with two different features. • Congenital, meaning from birth. • Neuromuscular, meaning it is caused by a neurological or muscular condition. These conditions may include cerebral palsy, Marfan syndrome, spinal cord trauma, neurofibromatosis, spinal muscular atrophy or muscular dystrophy. • Idiopathic, meaning the cause is unknown. 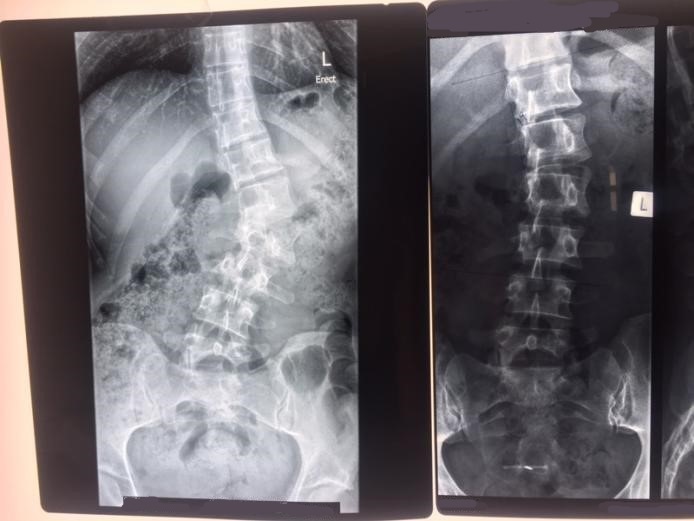 Interestingly adolescent scoliosis develops at the age range of 11-18 years and accounts for approximately 90% of cases of idiopathic scoliosis in children. The majority of idiopathic scoliosis across the age ranges equates to 80%. In my clinical practice and with my online clients, many have told me how they often feel perplexed and left with so many questions. Their health practitioner will just respond with, “The cause is unknown, there’s nothing much we can do.” Really? I beg to differ. Let’s just step back and consider our amazing body and how we work and function. Your nervous system communicates to your muscles to tell them to move and coordinate a certain way. This input of information to your muscles moves your bones and joints. So considering this process, if your muscles are chronically tight, they will begin to pull on your joints and this includes the vertebral column. Remember our muscles are the pulley system for our bones. The majority of the time, postural distortions are due to tight muscles pulling bone structures out of alignment. From previous blogs I have written and infographics found on Facebook, @totalsomatics and my newly renamed Instagram account, total.somatics, I discuss the subject of habituation. If we habitually hold a posture or move a certain way for a period of time, the nervous system detects a change in muscle length and tension. So it adapts to a new level of ‘normal.’ Unfortunately this ‘new normal’ may actually be creating more harm than good. Your muscle memory has changed and in the situation of scoliosis, it is causing one or two sided muscular tightness, leading to pain and poor mobility. Your nervous system communicates coordination and movement to your muscles which in turn moves your bones to create action. How does this affect us on a daily basis? If you have endured physical or emotional stress/trauma, you can see how it translates into your muscular system. Your muscles will subconsciously tighten and shorten in length, pulling on joints and bones. Likewise a habitual movement or posture, such as carrying children on one hip for years or slumping at your computer desk towards your mouse will create one sided muscle tension. If you practice this posture or movement long enough, your brain to muscle communication will think this is normal and reset the muscle length to a ‘new normal’ leading to the person feeling trapped in a very tight body. What can we do if we have Scoliosis? The brilliant news is that your nervous system is absolutely amazing and you have the capabilities to regain conscious or voluntary control of muscles which are currently subconsciously or involuntary contracted. Statistics reveal that with age our muscles get tighter. This highlights the habitual muscular patterns people develop over the years contributes towards the development of scoliosis. So the sooner we start retraining our brain to consciously release muscle tension, the better. Thomas Hanna, the creator of the modality Somatics often used the expression, 'the myth of ageing.' He detailed how habitual behaviour and movement distorts our posture. Granted with age we shrink in height, however, this is predominantly to do with our intervertebral discs thinning and its actions of shock absorbency and padding decreasing. “Age” does not cause scoliosis, it’s the habits we create which distort our posture, causing a sideways bend. What can we do to work with scoliosis and other types of back pain? Many traditional approaches have been used to treat scoliosis. It may be various forms of stretching, strengthening or manual therapies to treat muscles and bones. However these traditional methods only create a temporary ‘fix’ or band aid solution. The ROOT CAUSE is not being addressed. To get to the root cause, we need to retrain the nervous system and teach it how to work with our muscles to stop poor habitual movements and postures from creating recurring injuries. Using a 3 step movement process called pandiculation will help to reset muscle length and reduce tension. Pandiculation releases involuntary or subconscious muscle contraction and brings muscles back into voluntary or conscious control. Pandiculation resets the resting muscle length and tension with gentle and relaxing movements which are suitable for all ages and health conditions. When we pandiculate we are working with our brain, so very quickly our nervous system notices a new pattern of movement. People notice changes quite quickly. Obviously Rome wasn’t built in a day and your scoliosis didn’t happen overnight. So to expect a straight back within a few months is unrealistic. However a person suffering with scoliosis or back pain will notice how their pain, mobility and posture improves with regular somatics practice. Overtime your muscle, joints, tendons and ligaments will adjust and start working in a more efficient manner. 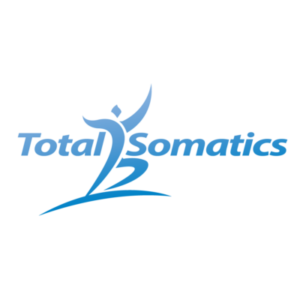 The Total Somatics Approach to Health & Wellness Online Program at www.TotalSomatics.com discusses in greater detail how we can adopt principles and techniques in our movement practice and apply them into our daily activities. This layered learning approach really cements new behavioural and biomechanical patterns which will reverse poor habits, reduce pain, improve posture and increase mobility. I would like you to consider my lovely client who has scoliosis. She has allowed me to show you her X ray. Notice her curvature. Before being introduced to Somatics she was advised to strengthen her muscles by certain traditional methods, this increased her pain and created additional muscular tension and changed to her curvature further. When she discovered Somatics, notice in her comments how it really helped her. “I have been working with Heidi over the past year to help me to manage pain associated with scoliosis. The gentle movements and muscle release techniques have helped me to find relief, particularly at the end of my work day. Over the past few years, I have tried many avenues to help manage my scoliosis. Programs from exercise physiologists and physios focusing on strength seemed to only increase tightness in my back muscles, pulling on my curvature. Physical therapies such as physio, acupuncture and cupping, provided only temporary relief. Would you like to retrain your nervous system to work more efficiently with your muscles? Would you like to reduce pain? Improve your posture? Increase your mobility? Take back control of your health and wellbeing? Allow we to teach you these amazing skills and principles. Everything I teach my clients in class and in clinic is also available within the online program. I periodically upload new material so you stay up to date with the latest techniques, movements and neuroscience. When you educate and empower yourself in the area of your health and wellbeing, you start to live with a healthier mindset and take back control of your life. To learn more about Somatics, CLICK HERE TO DOWNLOAD MY FREE EBOOK. I look forward to teaching you these amazing skills so you can reduce pain, improve your posture, increase mobility and return to the activities you love to do.